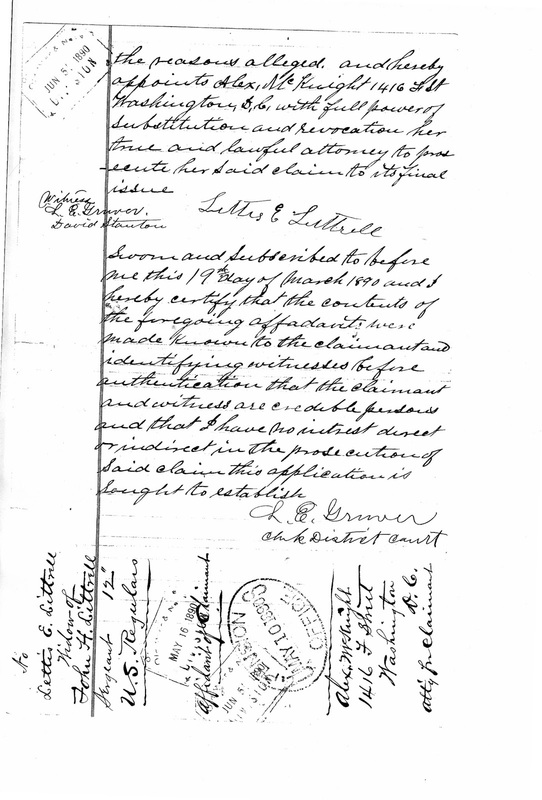 In May 1890, my 3rd great grandmother, Letis Ellen Littrell had a 2nd pension letter written on her behalf from Saunders County, Nebraska. She is probably with her son William who was living in Wahoo, Saunders, Nebraska in the 1800 census. This letter is written 28 years after the first letter. She would have been 60 years old. I wonder why it took so long to send a second letter and did she ever get a pension. Federal Military Pension Application, Letis E. Littrell, widow's pension, service of John H. Littrell (unassigned recruit, 12th regiment of infantry, civil war); pension file no. 11 273, National Archives, Washington, D.C.
What is in a name? In family history, a name can lead you on a journey. Since the Scottish like to bequeath their children with names of significance, I just knew there had to be a story in my dad's and grandfather's middle name, Cumberland. When researching this unique name, I've unearthed fascinating family members and a wee bit of Scottish history. My eureka moment was when I decide to approach my research by searching for the first name Cumberland in Scotland. Cumberland is not a common name. It always makes sense to find those unusual names. This search yielded me with some interesting results. The one that jumped out at me was "Cumberland Reid" born in 1746. It just happens that I have a fourth great grandmother, Christian Reid. She married a William Muirhead, and they named one of their sons (wait for it) Cumberland Muirhead, born in 1791. Now, this just couldn't be a coincidence. I located Cumberland Reid's will on the ScotlandsPeople's website and purchased it, with my fingers crossed. I love Cumberland Reid; he left a fantastic will. Cumberland never married and was a man with wealth. In his will, Cumberland names brothers, sisters, nieces, nephews, servants, and a housekeeper. A genealogist dream. Of course, he included his sister (Christian Reid), her husband (William Muirhead) and their two children, George and Sara. I assume poor little Cumberland Muirhead didn't survive. Cumberland's will lead me to discover intriguing cousins, who bear the Cumberland name. I'm quite sure this is where my dad, Maurice Cumberland Paterson, and my grandfather, Johnston Cumberland Paterson, got their middle name. Now how did my fourth great granduncle get a name like Cumberland? Cumberland Reid was the son of George Reid and Sarah Laurie, born August 28, 1746, in Ratho, Midlothian, Scotland, U.K. When doing my search for the first name Cumberland, I thought it was quite odd that there were quite a few people born with the first or middle name Cumberland in 1746. The Cumberland name doesn't appear before 1746. 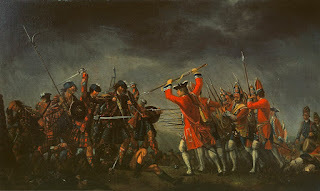 Since reading a little Scottish history, I knew the battle of Culloden took place in April 1746. William Augustus, Duke of Cumberland was in command of the government forces against the Jacobite army. My theory is that the Duke of Cumberland had something to do with George Reid naming his son Cumberland in 1746. But could I ever find out why? 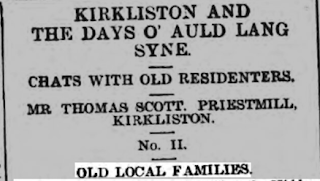 My answer came in the Linlithgowshire Gazette dated April 17, 1903, on the website Find My Past. Thanks to the old residenter, Mr. Thomas Scott, giving an account of the old folks in the area. 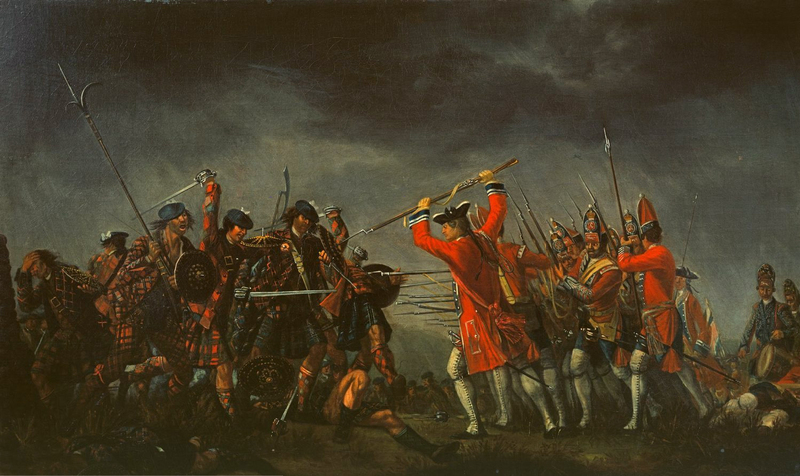 Mr. Scott states that a Reid was a guide for the Duke of Cumberland at Culloden. The guide named his son Cumberland. Amazing! It all fits. My fifth great grandfather George Reid must have been the guide. 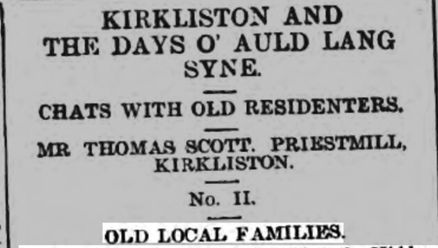 "Kirkliston and The Days O' Auld Lang Syne," Linlithgowshire Gazette, 17 April 1903, "Cumberland name"; online archives (https://www.findmypast.com:accessed 29 March 2017); p 6 of 8. I'm not sure how I feel about my family bearing the name Cumberland after the Duke of Cumberland. From what I have read, The Duke of Cumberland is known as the butcher for the deeds done after the battle. I would like to think my fifth great grandfather knew him as a different man. But my dad and my grandfather would have been thrilled to know where the name came from and how I traced it back to an epic battle in Scottish history. It was a captivating journey. In genealogy, sometimes there is history in a name. 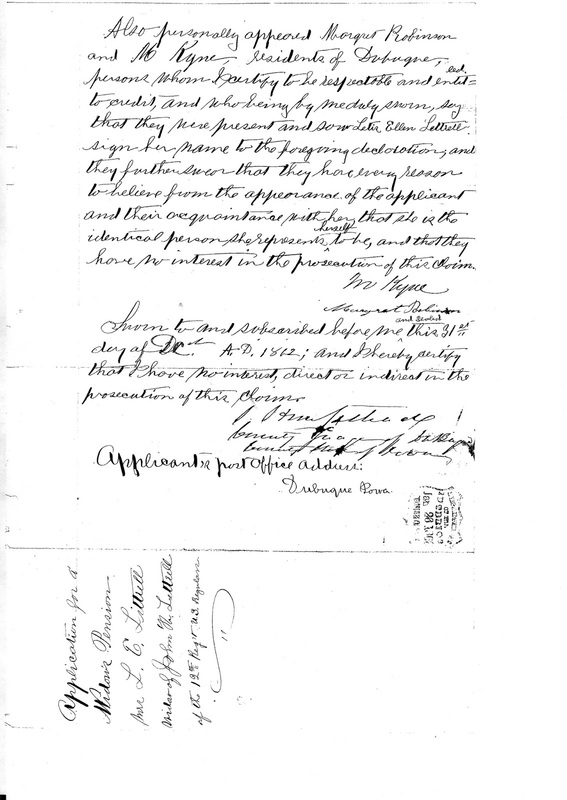 Quite a few years ago, I ordered the Civil War pension application for my 3rd great grandmother, Letis E. (Knox) Littrell from the National Archives in Washington, D.C. I remember it was quite exciting to see these records when I finally received them. 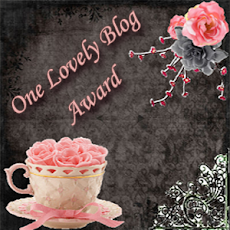 A cousin recently contacted me about the Littrell family after reading my blog. So now may be a good time to share these records. There are eight pages and one title page, so I'll split them up. 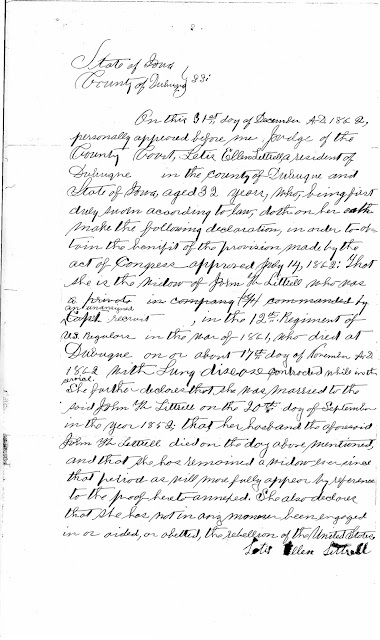 The first letter is dated December 31, 1862, about a month after her husband dies from lung disease contracted during his service. 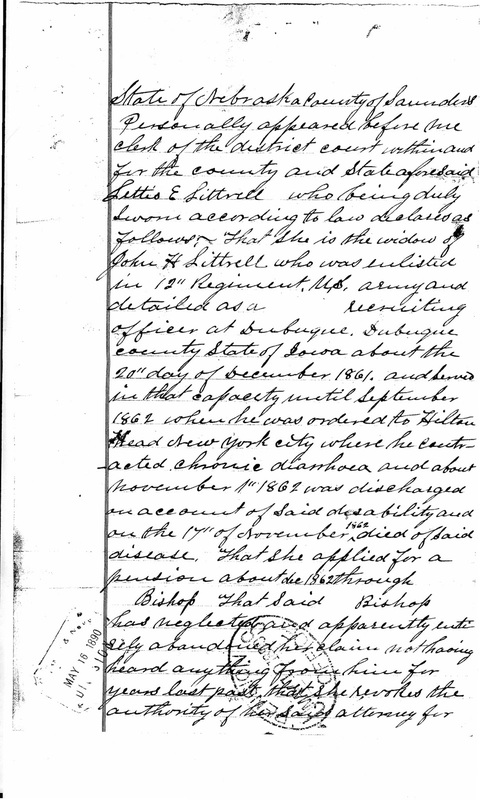 She states that she married John H. Littrell on September 20th, 1852, which matches their marriage record. Margaret Robinson and Mr. Kyne, residents of Dubuque, are character witnesses for Letis. 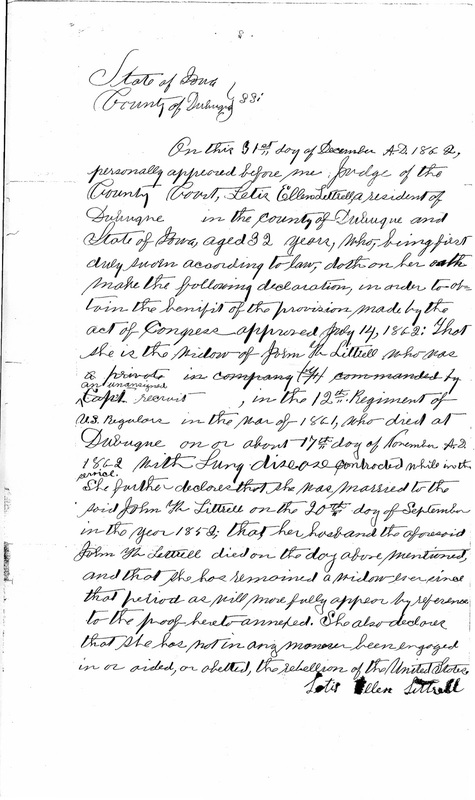 My 3rd great grandmother signs her name at the bottom of the first page. It's amazing to see your ancestors script from 155 years ago. AMERICAN - my maternal grandmother, Ruby Alberta Belknap (Makie) This line goes back to the start of immigration to America. 30% BRITISH ISLES - mostly from my Dad who had a Scottish Father and English Mother and perhaps a little from my Mother's American side. 25% FINLAND - probably all from my Mother's Dad ancestry. 20% SCANDINAVIA - could be from both my Mother and Dad. The Vikings were all over the map. 14% WEST & CENTRAL EUROPE - probably my Mother's American heritage, as I found some German. 7% IBERIA - no clue. I'm thinking part of my hodgepodge. 4% EAST EUROPE - probably my Mother's American side. Trace of CENTRAL ASIA for fun. In the Victorian era, I've discovered a family of needlewomen living in London on my Dad's maternal side. This family has been a challenge to research and I'm still searching for information. 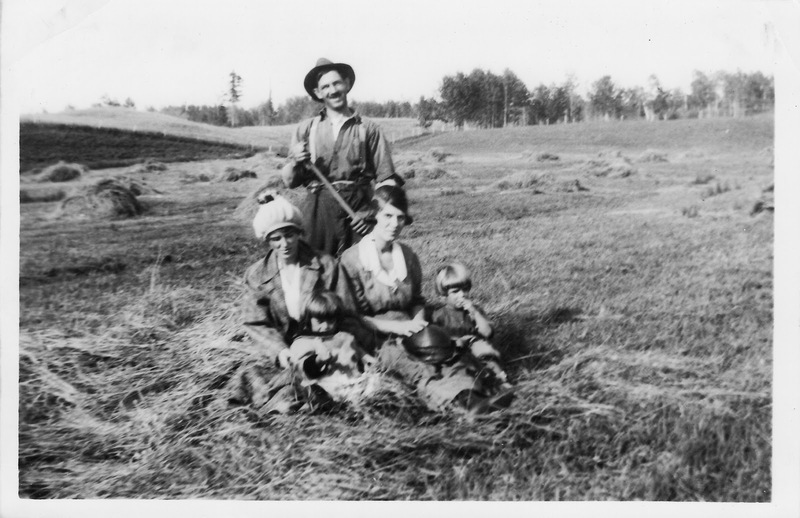 Looking through the census records, I've found a mother and her daughters using their needle skills to help contribute to their family income. 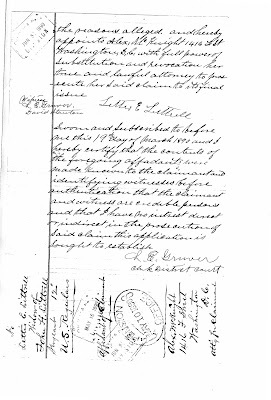 The earliest census I found for my 3rd great grandmother, Sarah Swain (Worthington), is 1871. Sarah was living in St. Pancras, Middlesex, England with her children Emily, Jane, and Alfred. 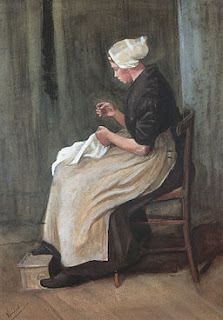 Her occupation was a needlewoman. Sarah marital status was married, but her husband, William, is not listed in the household. This would not have been unusual as William is listed as a servant in all his daughter's (Jane Elizabeth, Emily, and Jane) marriage records. He could have been living at his place of employment. Skipping to the 1891 census I found two of Sarah's daughters employed as needlewomen. My 2nd great grandmother, Emily Worthington (Warry), is living with her husband and her four children at 59 Campsbourne Road in Hornsey, Middlesex, England. Her sister, Julia Elizabeth Worthington (Fitch), is a few doors down at 29 Campsbourne Road with her husband. I can imagine these two sisters getting together for needlework. 1871 England Census, St. Pancras, London, household 450, Sarah Worthington; digital images, Ancestry.com (http://www.ancestry.com : accessed 17 March 2017); citing: ED 20; Piece: 228; Folio: 39; Page: 73. 1891 England Census, Hornsey, Middlesex, household 255, George Augustus Warry; digital images, Ancestry.com (http://www.ancestry.com : accessed 17 March 2017); citing: ED 5; Piece: 1060; Folio: 27; Page: 45. 1891 England Census, Hornsey, Middlesex, household 229, George Fitch; digital images, Ancestry.com (http://www.ancestry.com : accessed 17 March 2017); citing: ED 5; Piece: 1060; Folio: 25; Page: 41. Robert's family tree definitely has more Irish than mine. All of Robert's grandparents seem to have a sprinkle of Irish heritage. ֎His paternal grandfather's line goes back to Joseph Neily and his wife Mary Gossard, who came to Nova Scotia in 1764. (5th great grandparents). 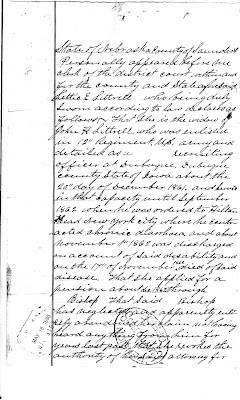 ֎His paternal grandmother's goes back to Mark Patton and Ann McGowan (7th great grandparents). They left Ireland in 1761 for Nova Scotia and settled near Fort Cumberland. 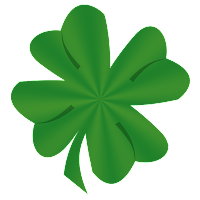 In my family tree, I've found a wee bit of Irish on my maternal grandmother's side. There is a story of William Cantwell and Margaret O'Brien (6th great grandparents) being from Cork, Ireland. They were young lovers who sailed away to America to marry due to disapproving parent.